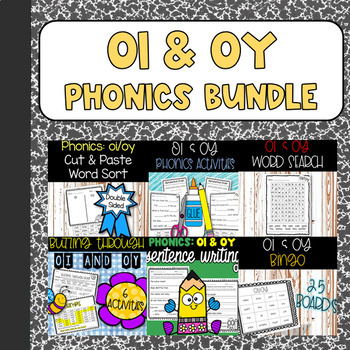 Vowel Teams (oi & oy) Worksheets: Grab these THIRTEEN no prep) phonics based activities! Students practice reading, sentence writing, alphabetical order, decoding, and sorting words with the glued sounds oi and oy. -4 Buzzing Through Words +2 Word Box Sheets: Students highlight a trail of glued sounds to help the bee reach the flower. See thumbnail for highlighted example. Then, students write prompted words in the correct boxes to promote handwriting and accurate letter size. -2 Reading Cut and Paste: Students read sentences with a missing word. The cut and paste the correct words into the sentences. 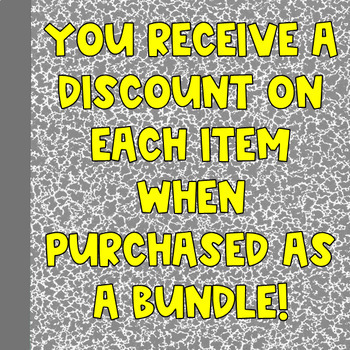 BONUS: This product also includes 2 early finisher activities in which students put the words into alphabetical order. -3 Proofreading Worksheets: Students read prompted sentences with glued sounds. They rewrite sentences correctly using capitalization, punctuation, spacing, and neat handwriting. -1 Word Sort: Students cut and paste words to sort them by their endings. -1 Word Search: Students search for prompted words.